The San Juan Mountains are normally covered in snow this time of year, but they sit mostly bare Tuesday as drought conditions increase across the region. 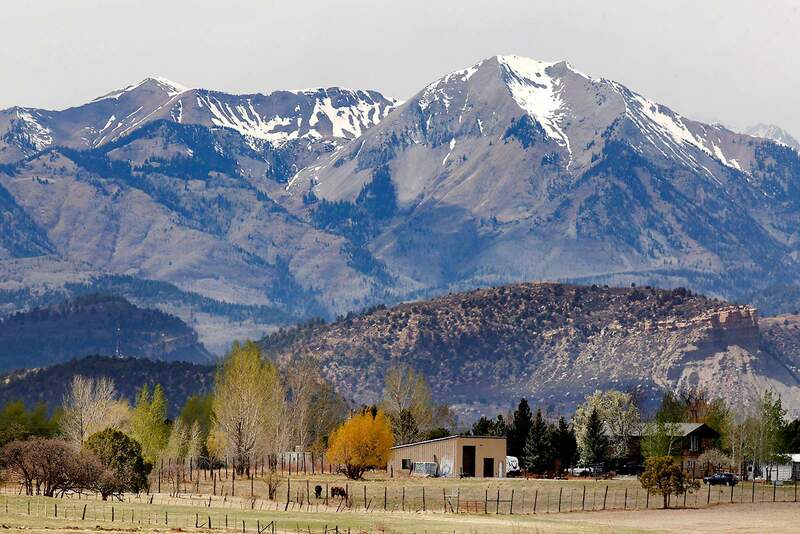 As of Monday, the Animas, Dolores, San Miguel and San Juan basins are at 31 percent of normal snowpack levels, according to the U.S. Department of Agriculture. The U.S. Drought Monitor lists Montezuma and La Plata counties as being in “exceptional drought” – the most critical drought category. 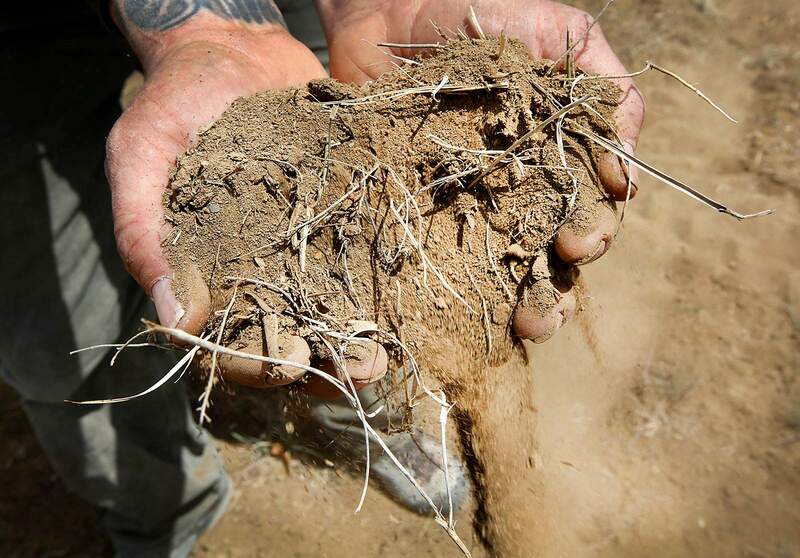 Dry dirt can be found in abundance across Southwest Colorado, including on farms and ranches, where wind can cause dust storms and further evaporate any remaining moisture. Both La Plata and Montezuma counties are in an “exceptional drought” listing – the most critical drought category from the U.S. Drought Monitor – and it doesn’t look as if there’s any hope for a turnaround until the monsoon season in July. The U.S. Drought Monitor – a partnership between the National Drought Mitigation Center at the University of Nebraska, the U.S. Department of Agriculture and the National Oceanic and Atmospheric Administration – ranks drought conditions on five levels. A recently released map shows La Plata and Montezuma counties have been downgraded to the most intense category of the five drought conditions. A fire ban went into effect April 16 in Montezuma County, where several brush fires have signaled an early and dangerous fire season. Durango Fire Protection District Chief Hal Doughty said Tuesday all the fire chiefs in La Plata County requested the county enter a Stage 1 fire restriction classification, which would put a ban on controlled burns (except on agricultural lands) and campfires in certain areas, as well as other measures. The reason why the fire districts haven’t requested the fire restrictions already, Doughty said, is because the biggest problem fire departments are having is with open burns on agricultural lands getting out of control. Any bans on fires on agricultural lands would take an order from the Colorado governor, he said. La Plata County commissioners are expected to vote on the Stage 1 fire restrictions next week. Brad Rippey, a meteorologist with the U.S. Department of Agriculture who authored the map, said the conditions that arise for an “exceptional drought” are considered a 1-in-50-year chance. “It’s pretty significant in the context of history,” Rippey said. Rippey said the obvious factor that contributed to the listing was the abysmally dry winter that has shown no sign of changing into early spring. 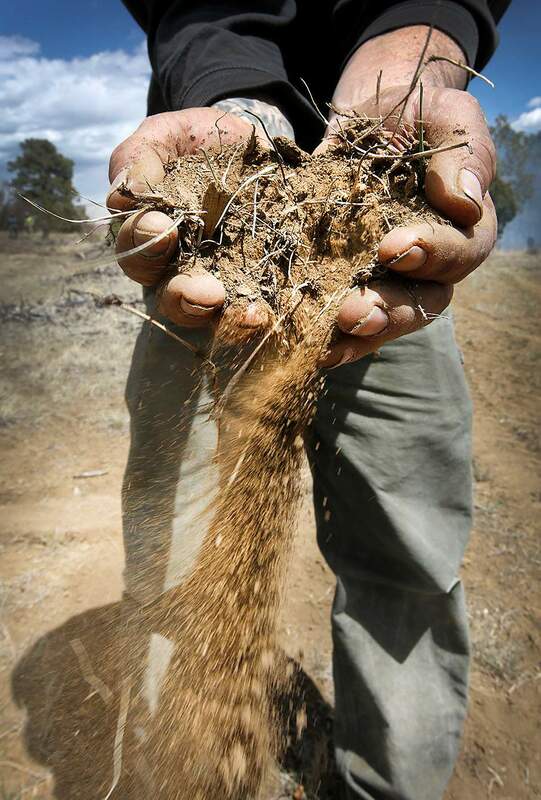 “Winter was pretty much a disaster for the Four Corners,” Rippey said. As a result, the region’s snowpack is minimal. As of Monday, the Animas, Dolores, San Miguel and San Juan basins are at 31 percent of normal snowpack levels, according to the USDA. [Image:2]In fact, the Animas, Dolores, San Juan and Miguel basins, as well as the Upper Rio Grande, hold the lowest overall snowpack in the state, according to the National Resource Conservation Service. As a result, those regions are expected to have slim water runoff this year. The Animas River through Durango, for instance, is expected to have only 33 percent of average stream flow, the NRCS said. Jarrod Biggs, the city of Durango’s assistant utilities director, said Monday the department is planning for the worst-case scenario, which would entail water-use restrictions should dry conditions persist. The city of Durango gets its water mostly from the Florida River and also has the capacity to pull from the Animas River. “We don’t want to alarm anyone early, but we want to be prepared and get those plans in place to execute them if we have to,” Biggs said. He said the city’s reservoir is at about normal, but if water supplies across the region run low, restrictions on irrigation could be put in place. “It’s something we want to be ready for if and when; we’re just hopeful we don’t have to,” Biggs said. For agriculture and irrigators, however, a good water year during the winter of 2016-17 has those regions’ reservoirs holding on at about 101 percent of average, the NRCS said. But that doesn’t mean there won’t be issues with low water this year. “With the primary snowpack accumulation season nearing its end and extremely low snowpacks across all of southern Colorado, the water stored in reservoirs will likely become a valuable resource this summer and further down the road depending on future precipitation and next year’s snow accumulations,” the NRCS said in its report. And it doesn’t look like any precipitation is on the horizon. A long-term U.S. 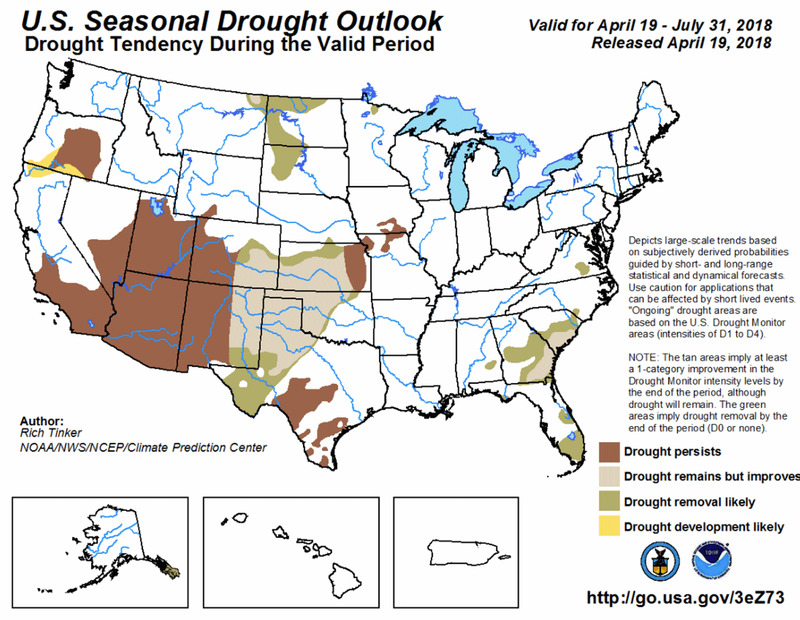 Seasonal Drought Outlook map released April 19 predicts drought conditions will persist at least until July 31.